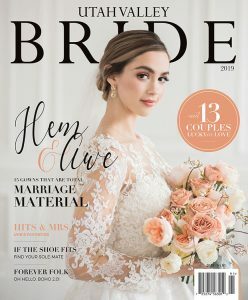 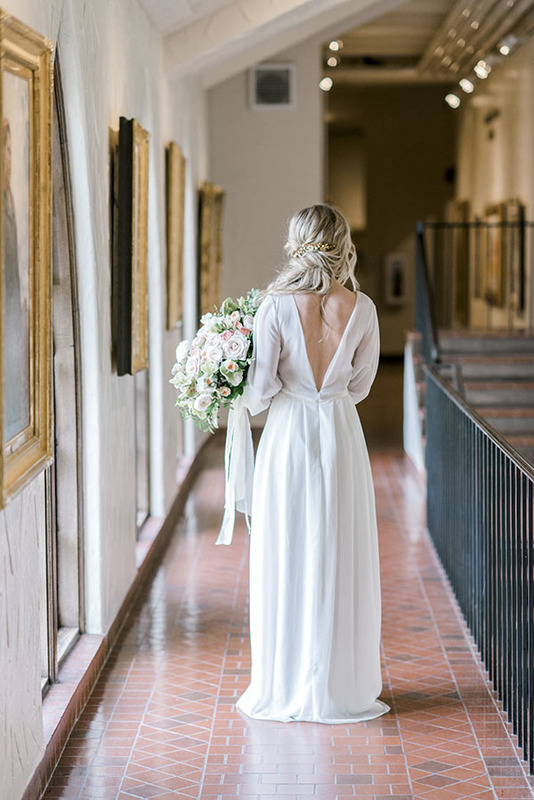 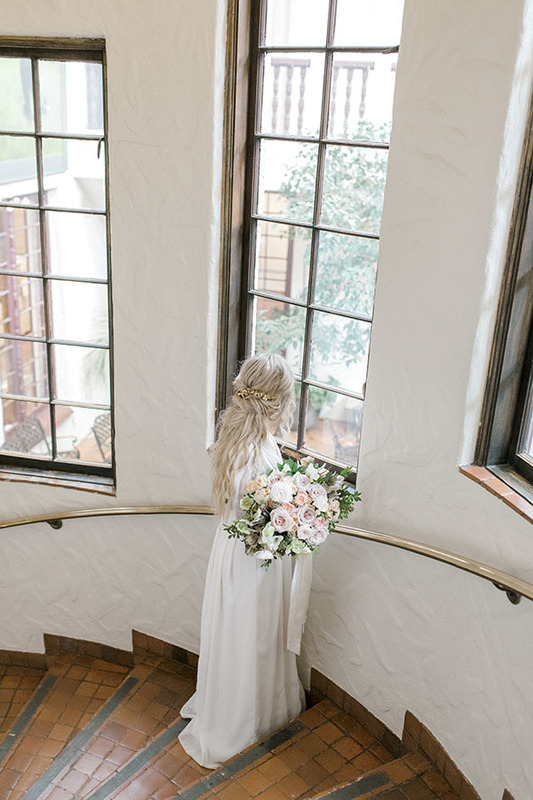 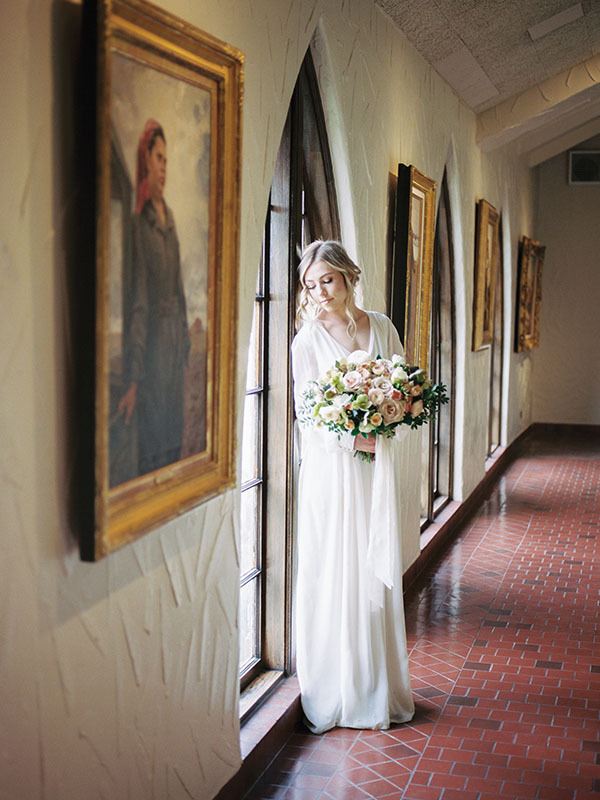 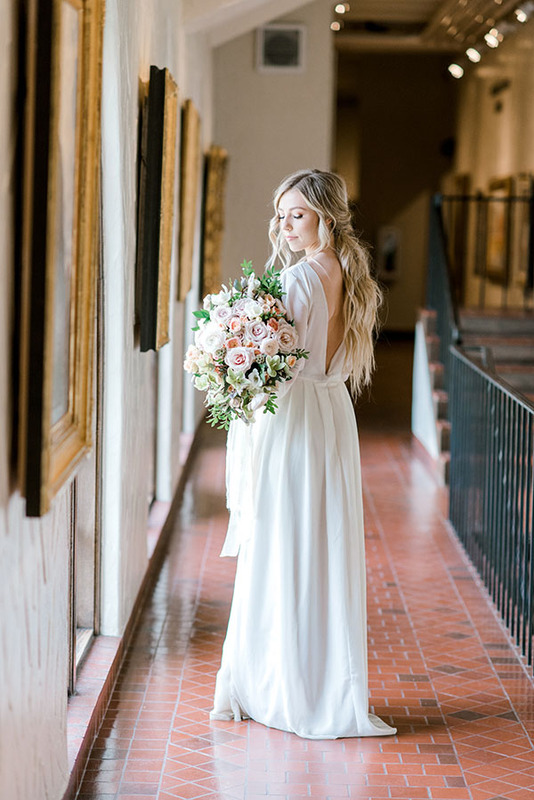 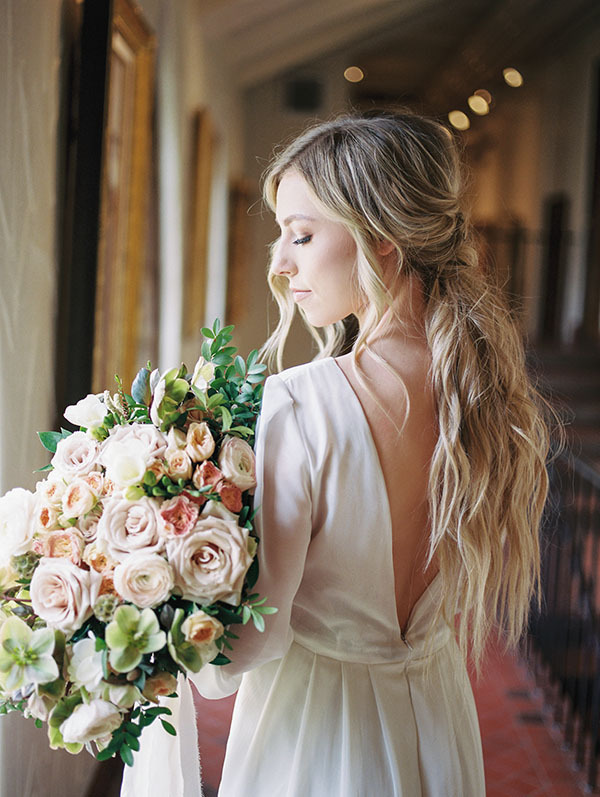 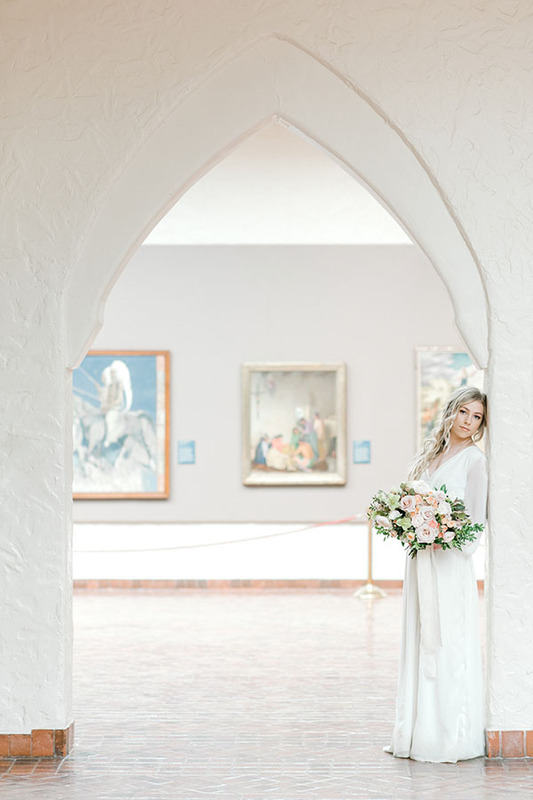 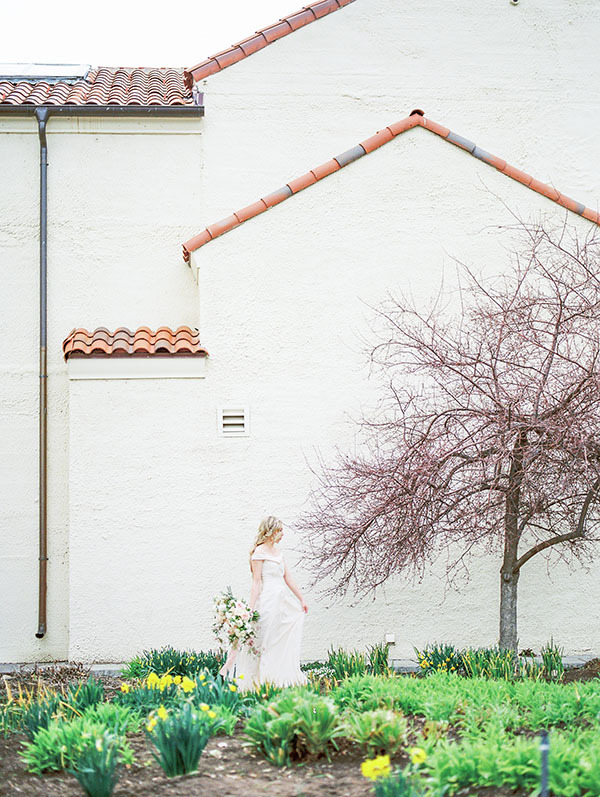 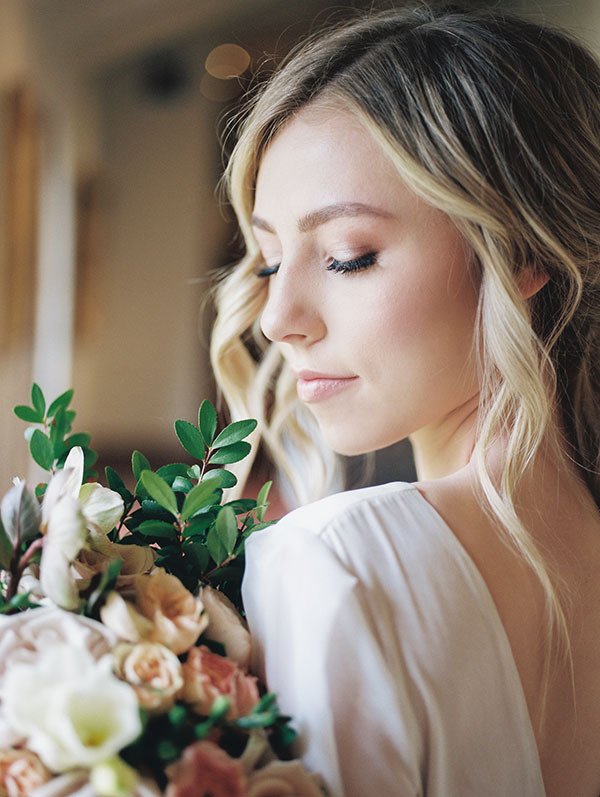 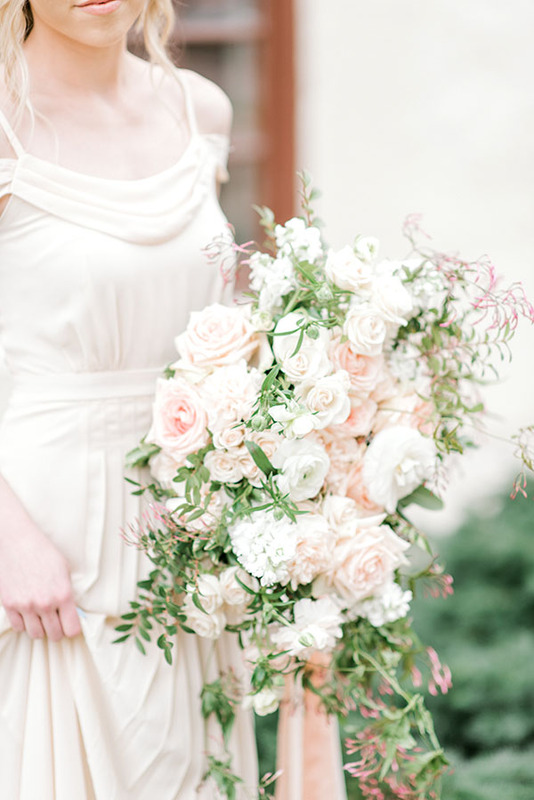 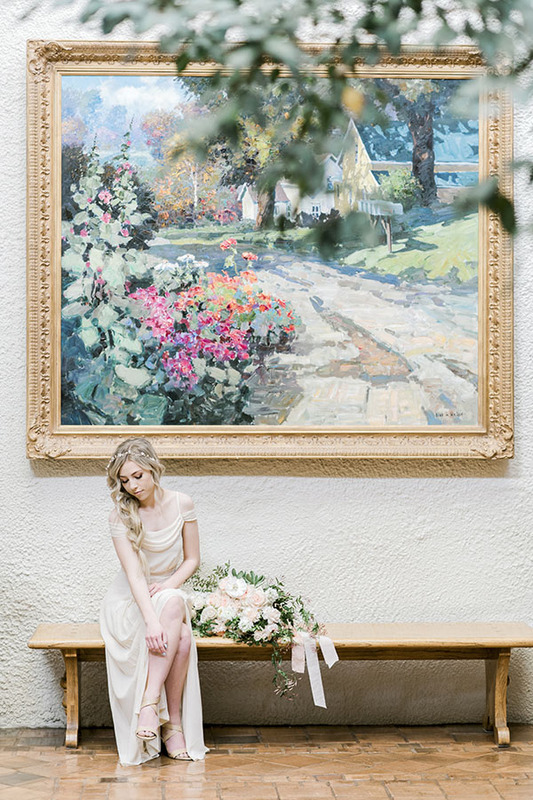 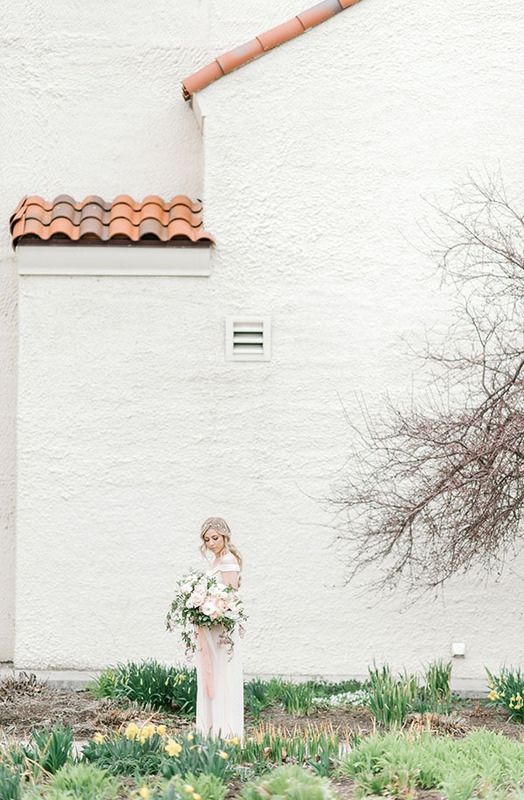 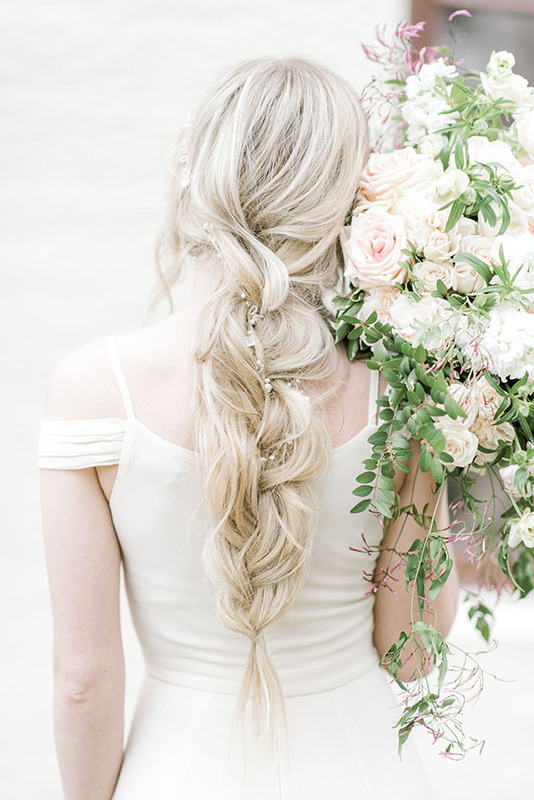 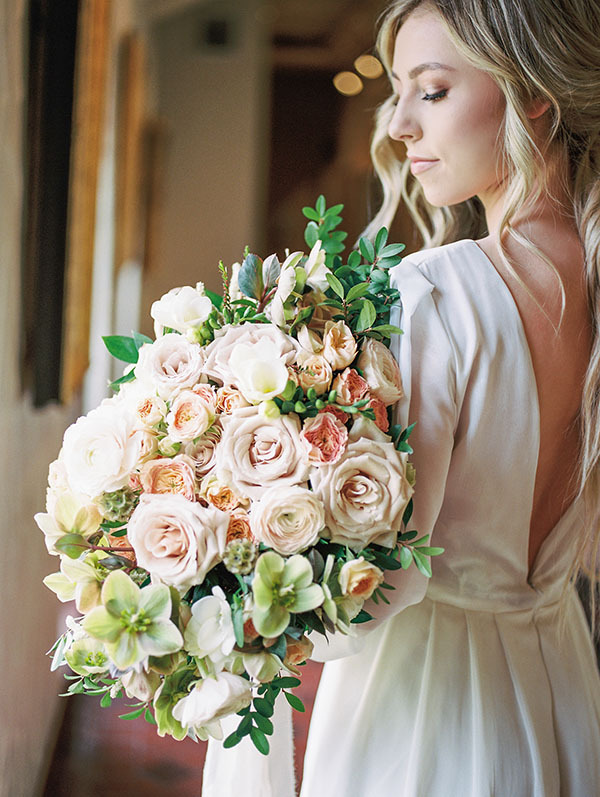 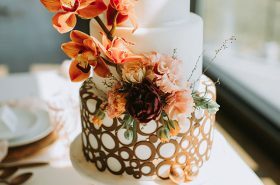 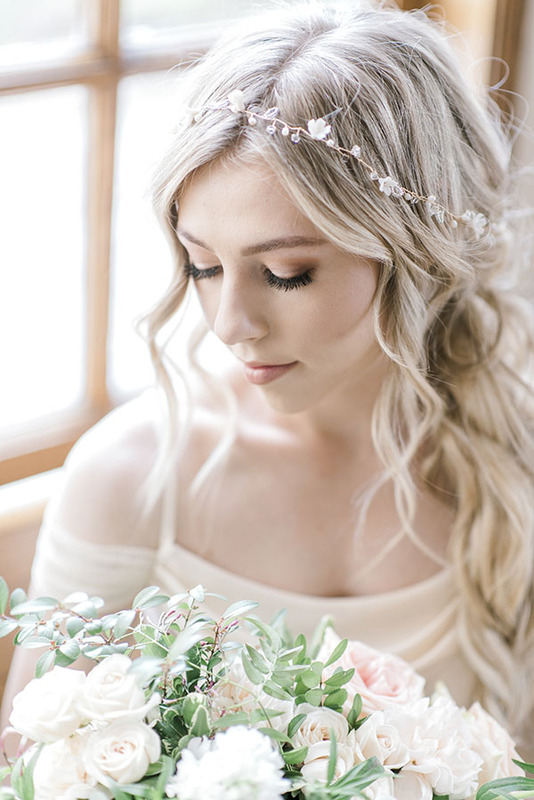 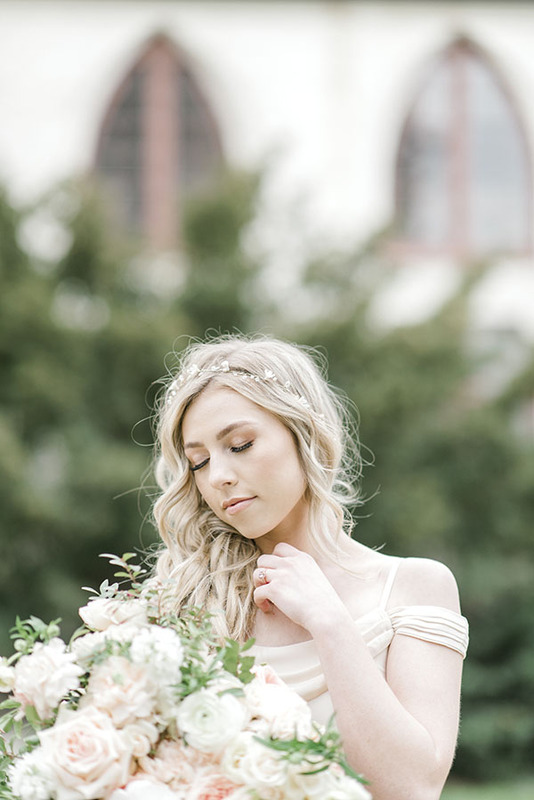 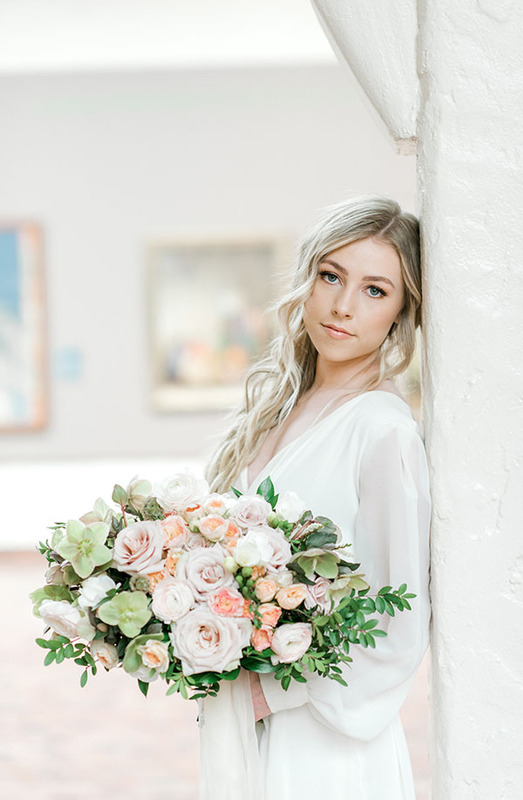 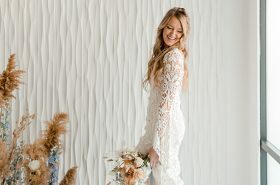 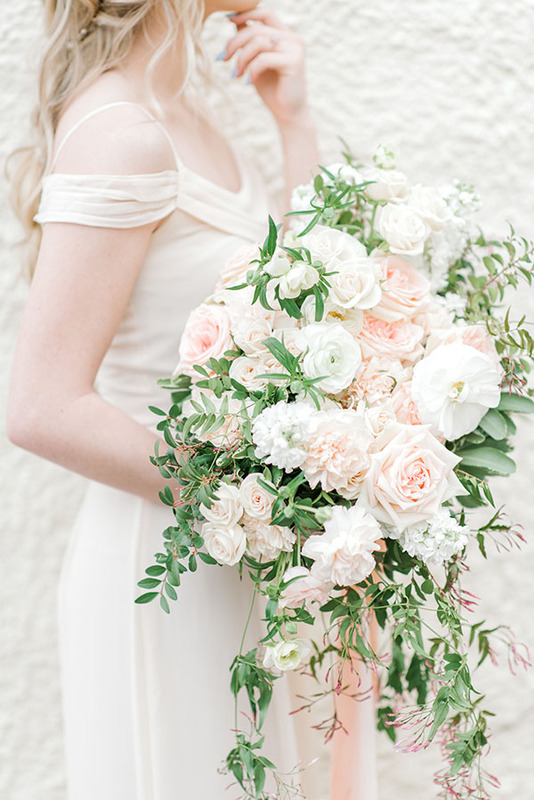 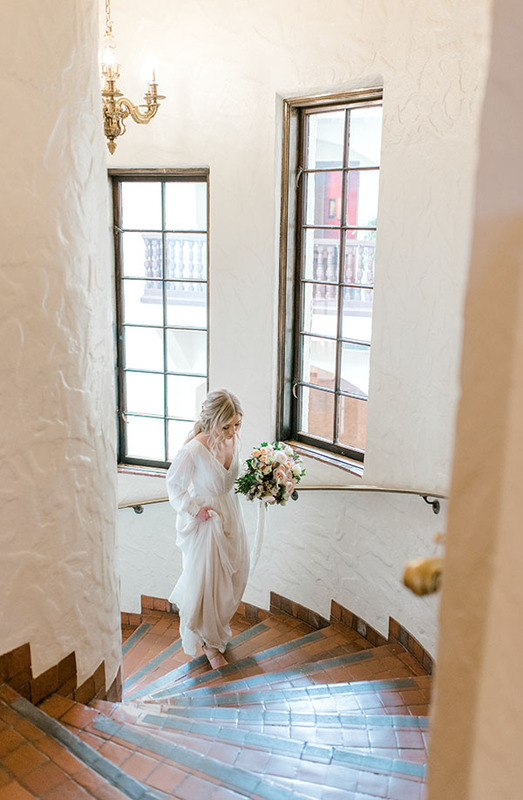 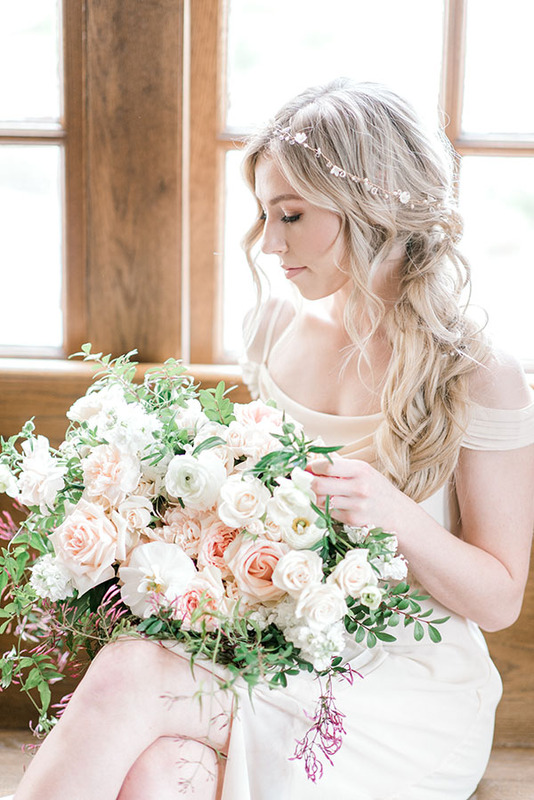 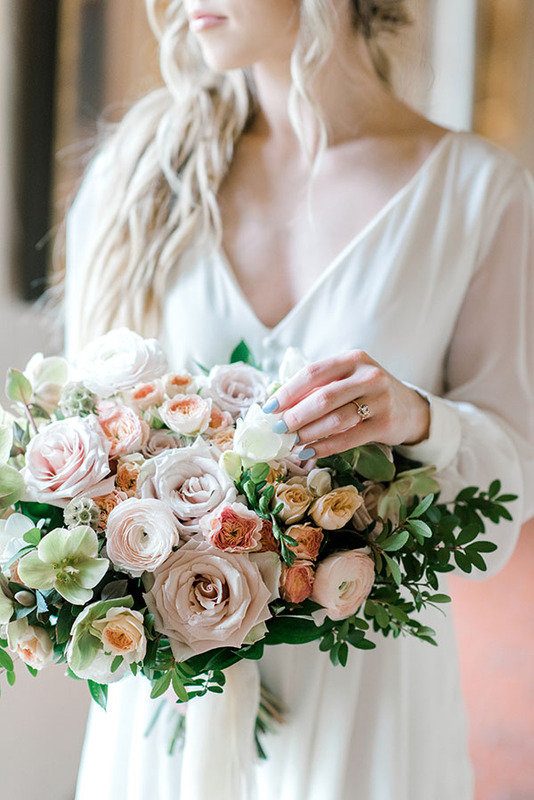 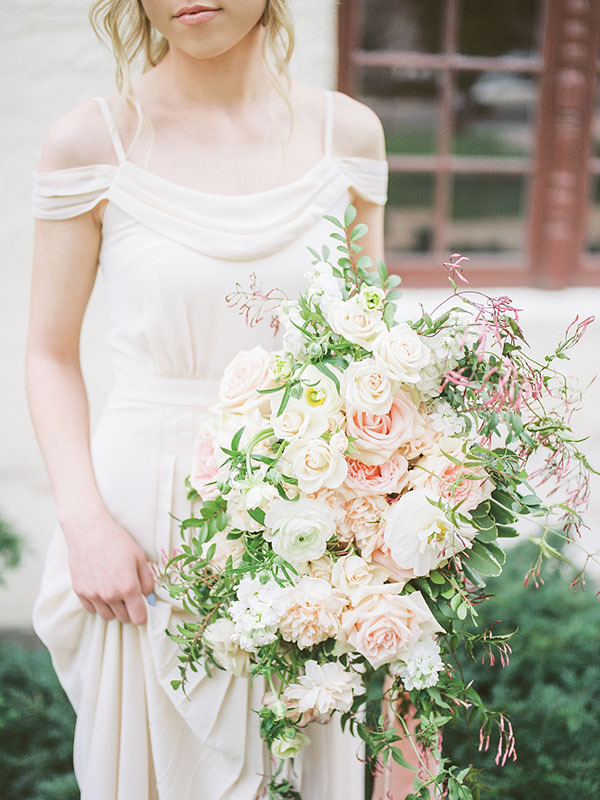 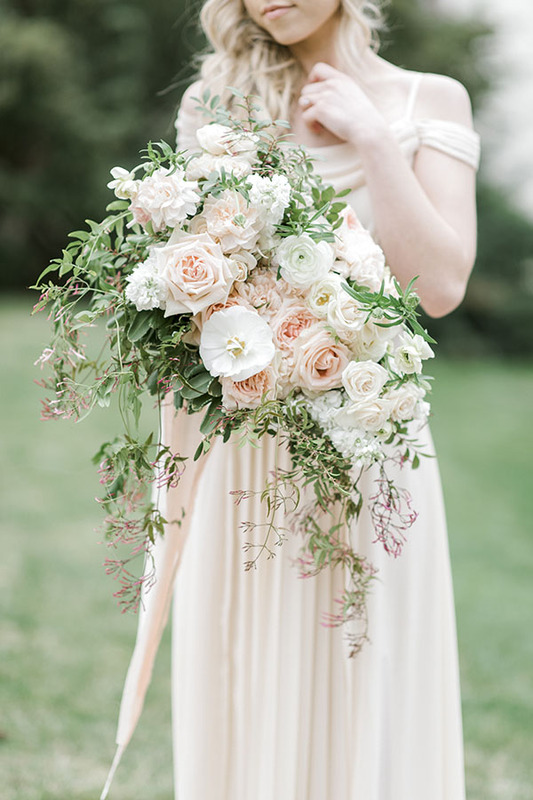 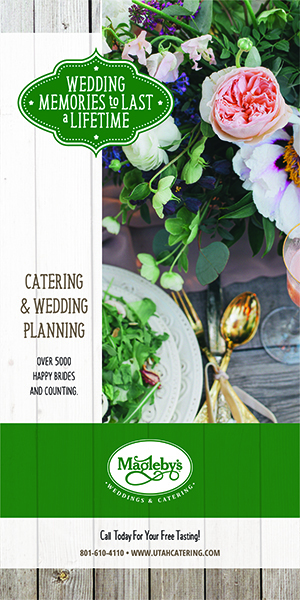 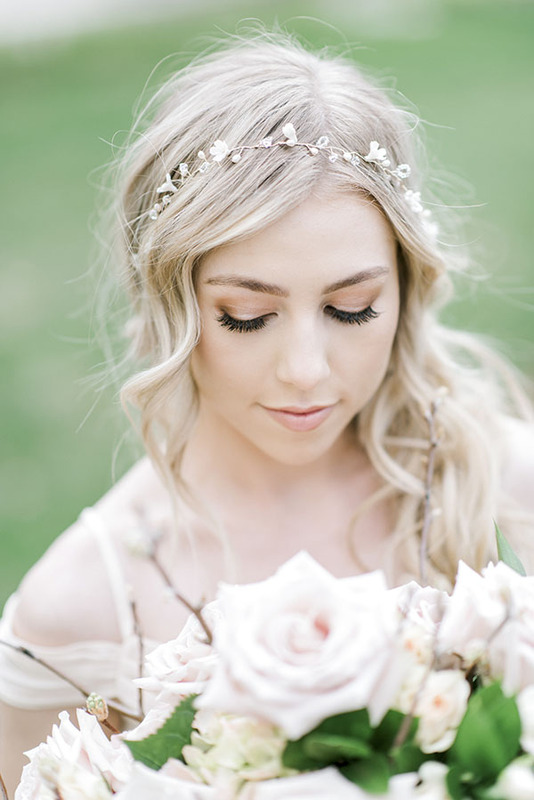 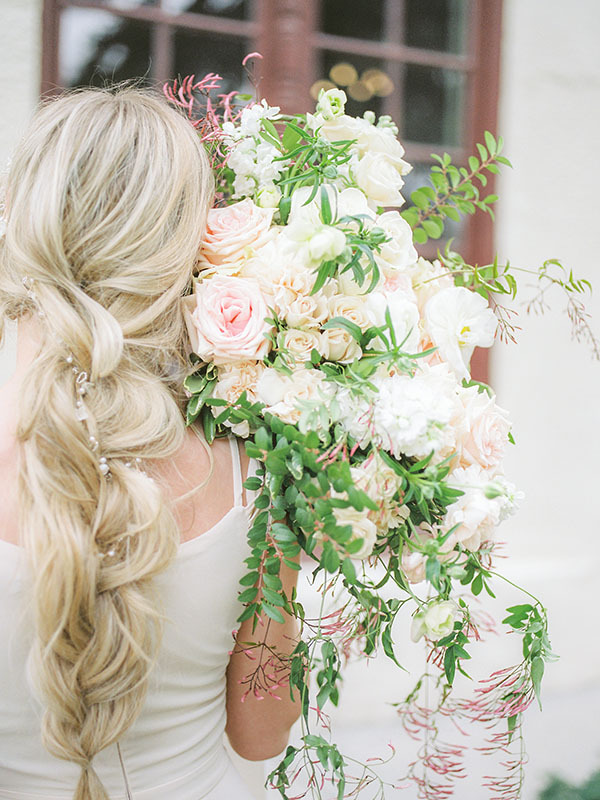 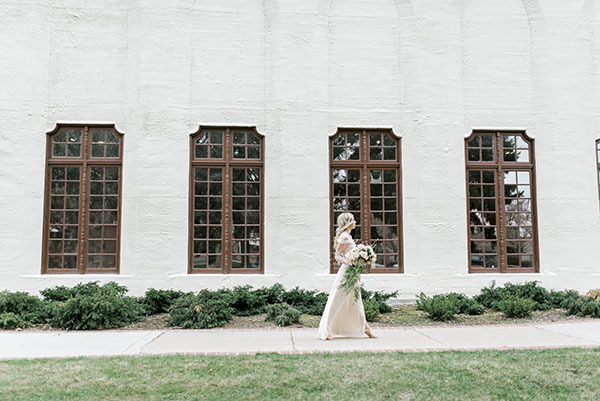 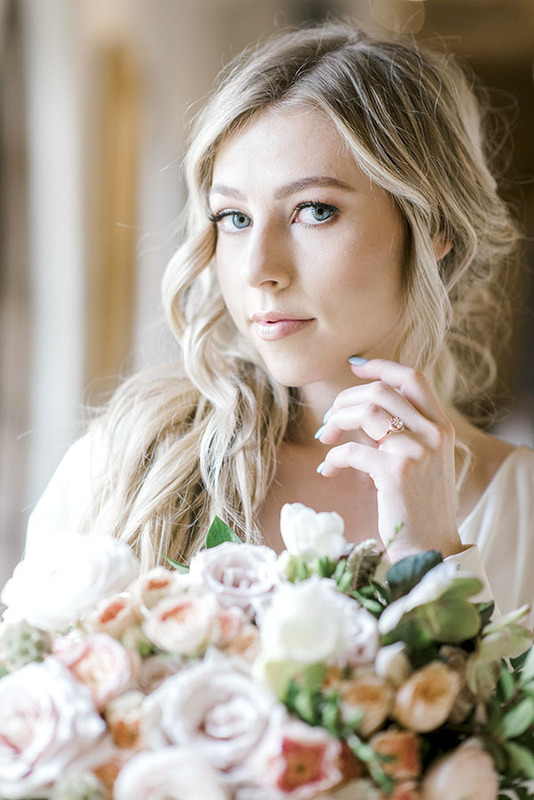 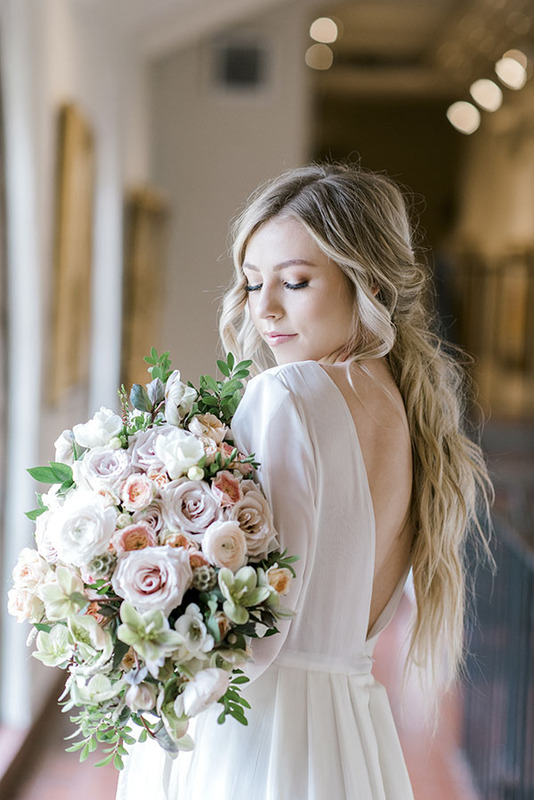 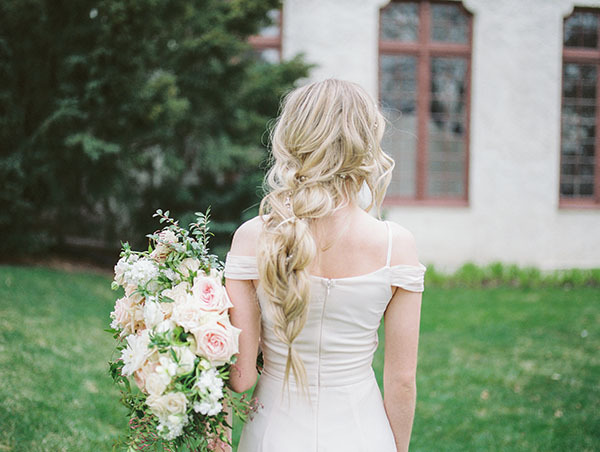 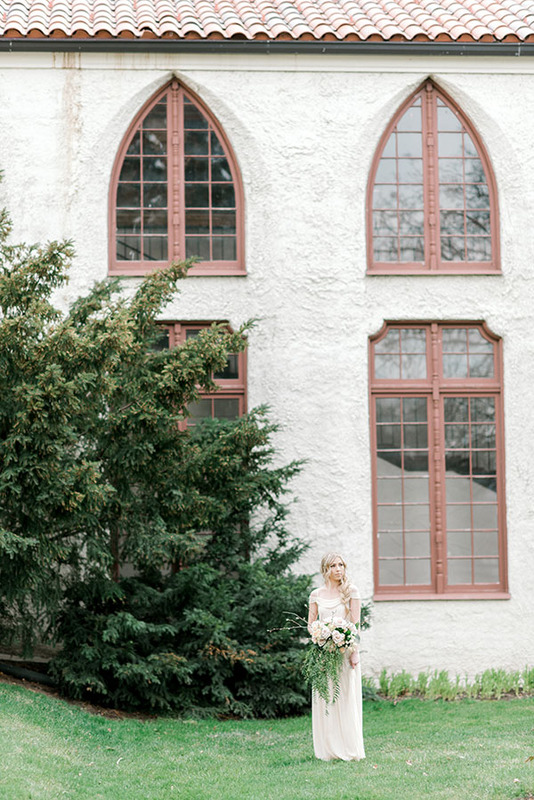 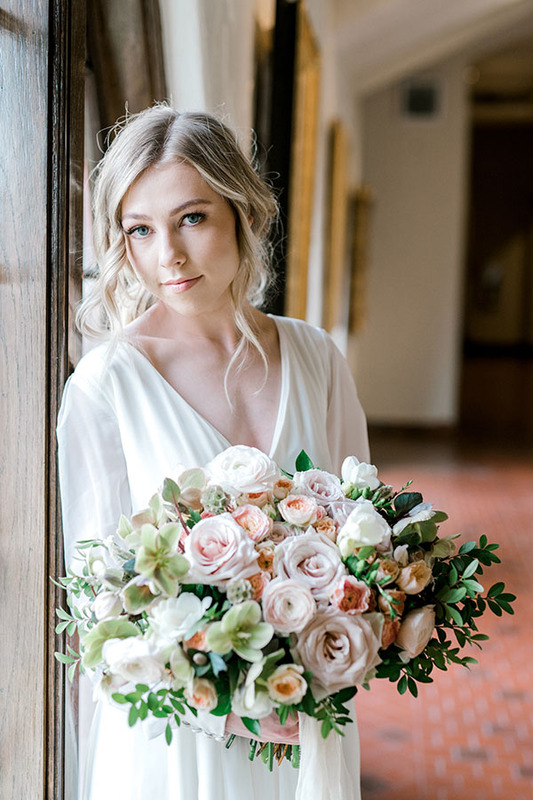 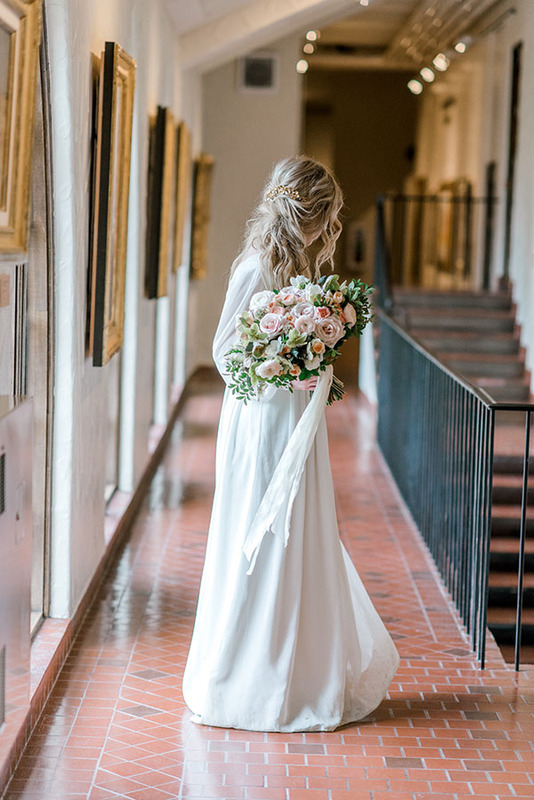 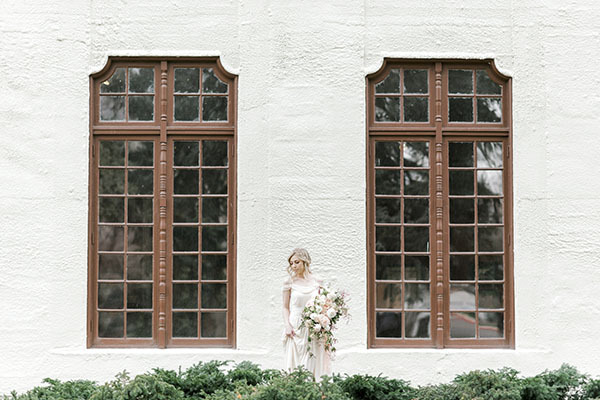 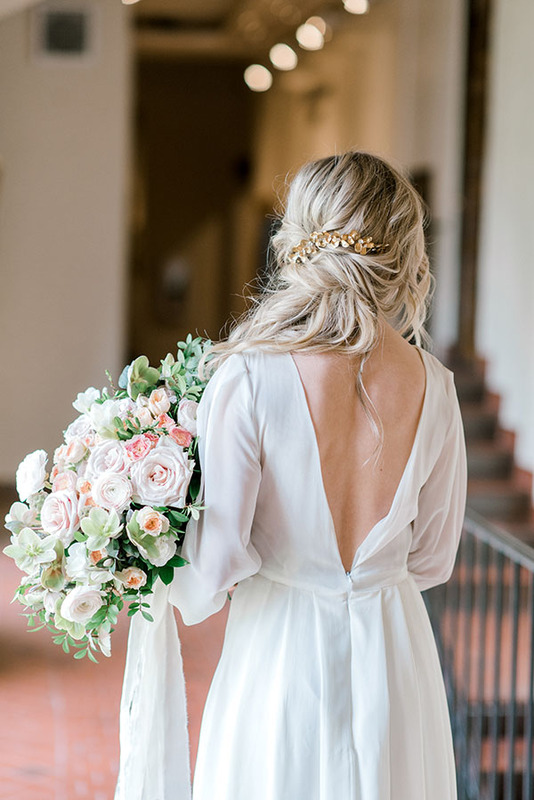 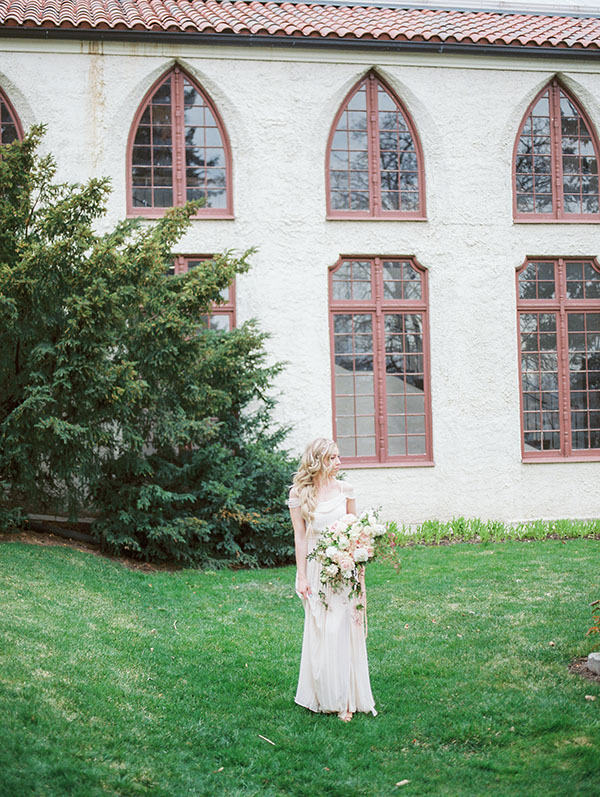 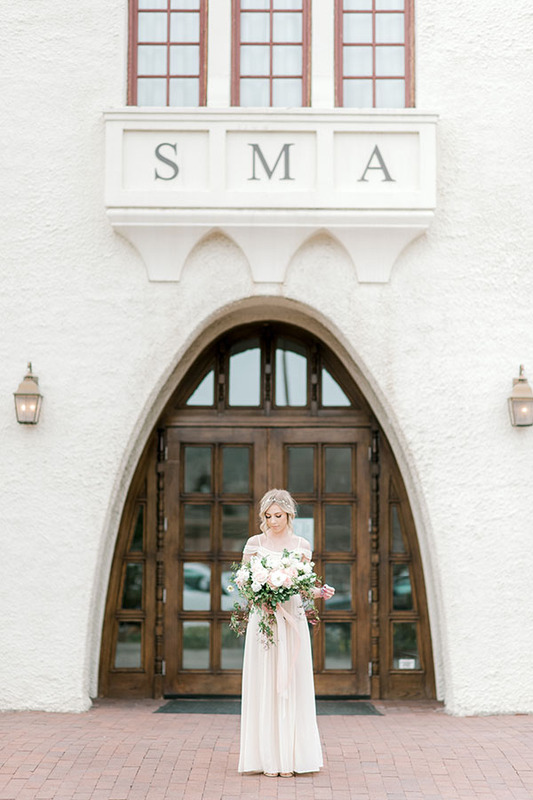 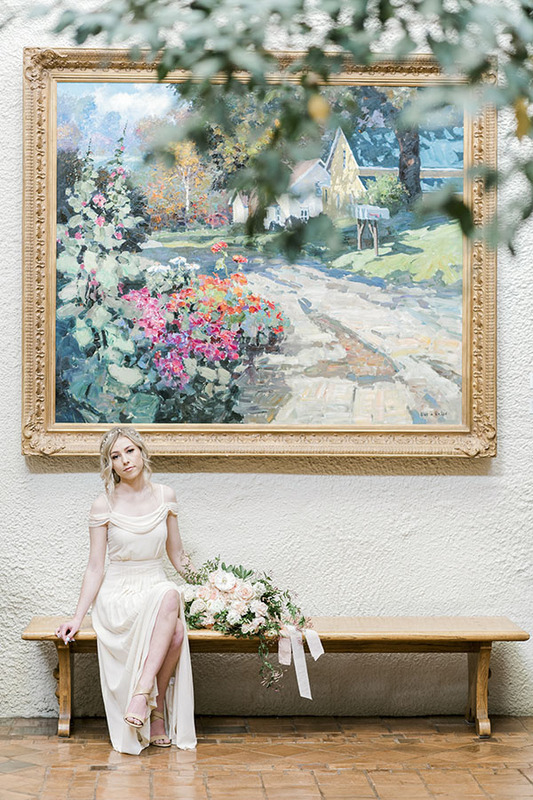 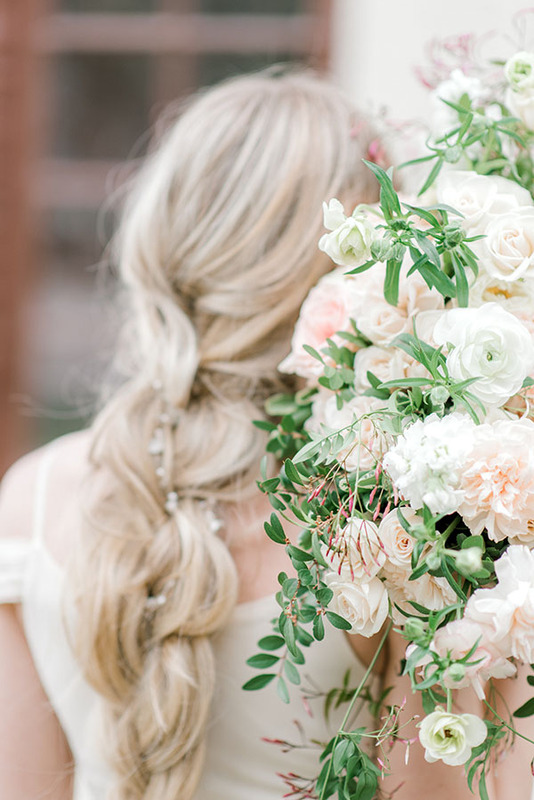 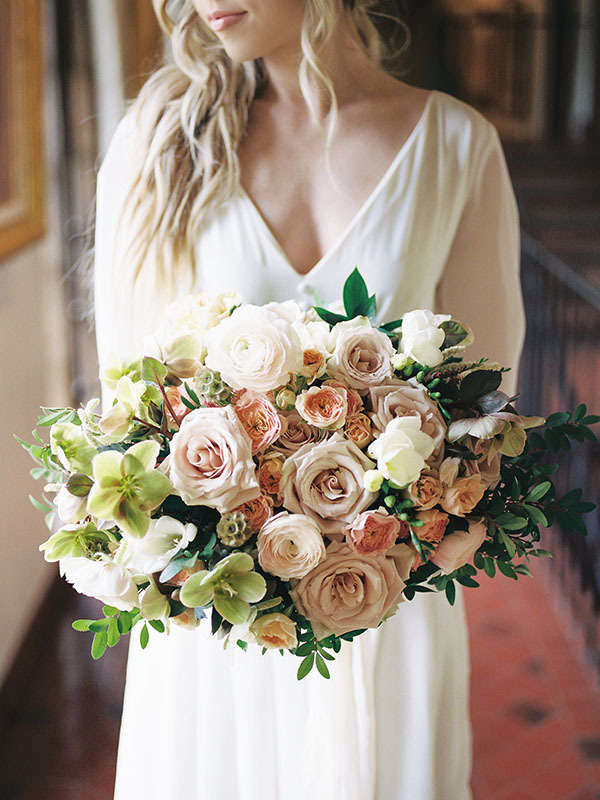 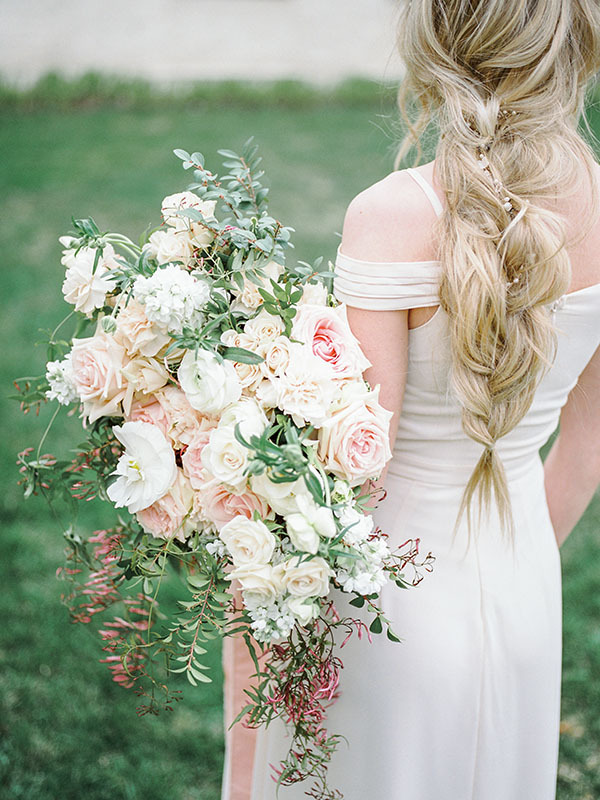 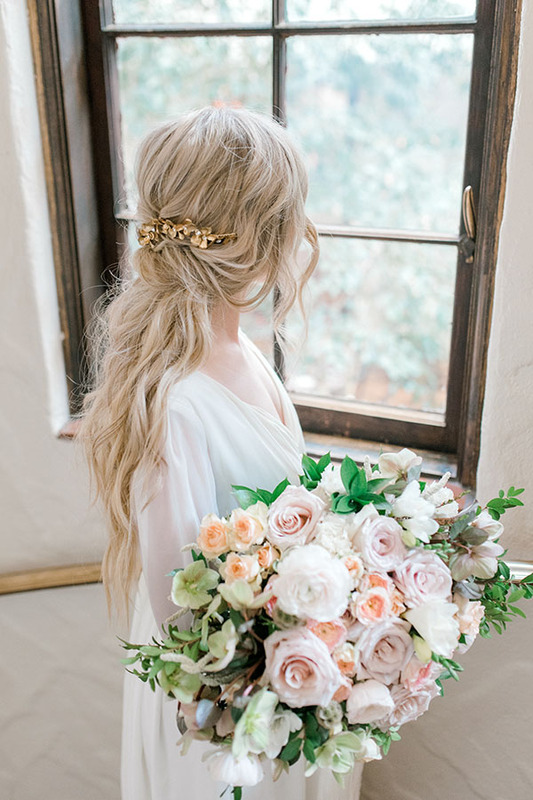 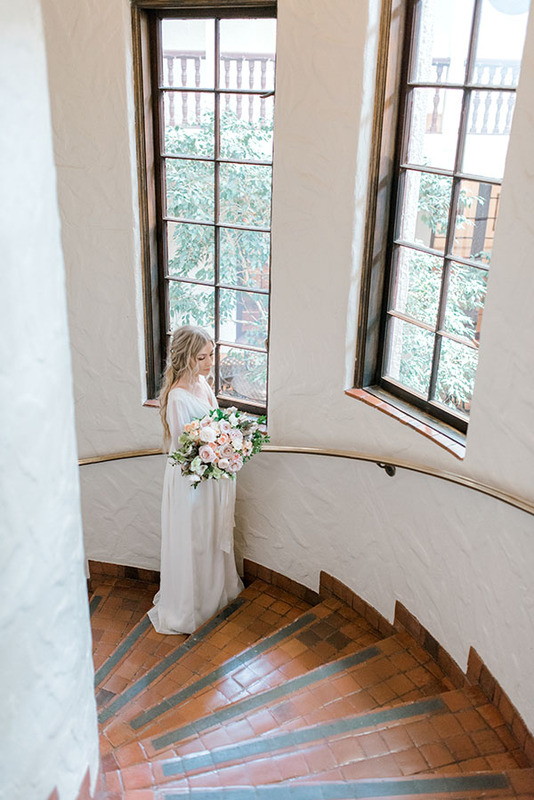 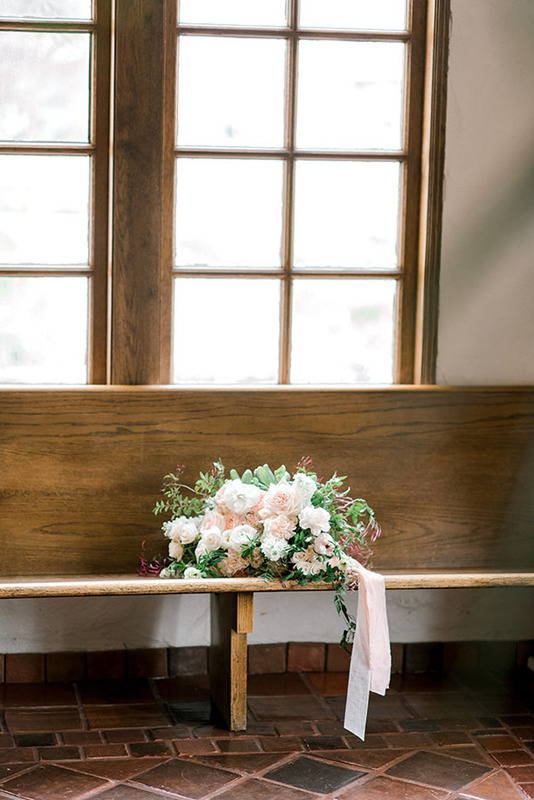 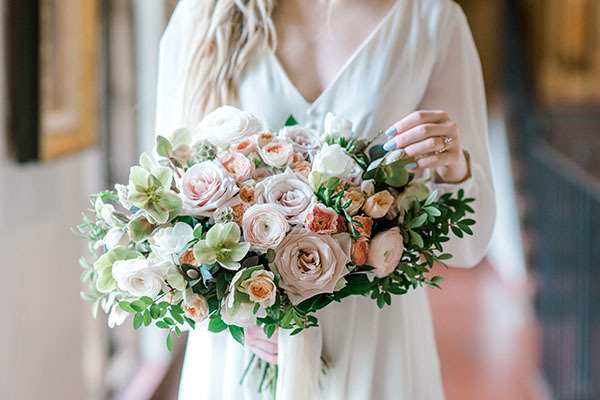 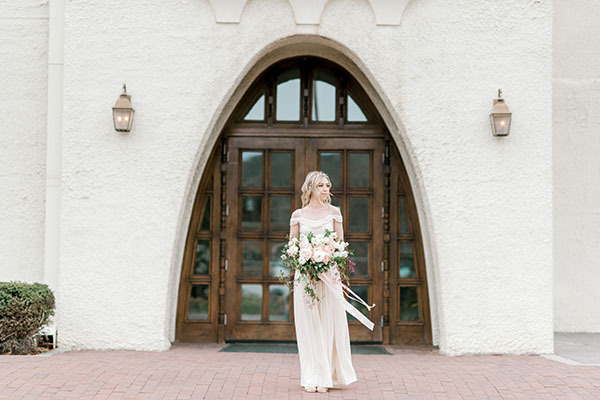 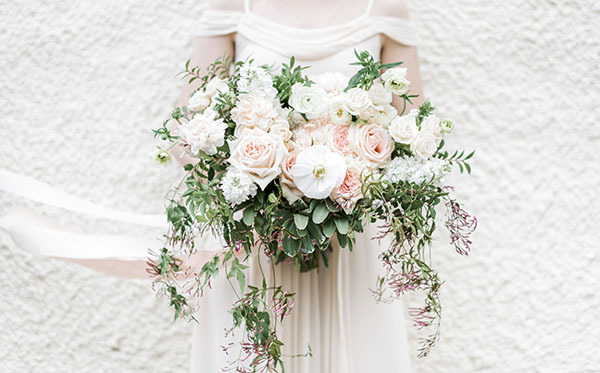 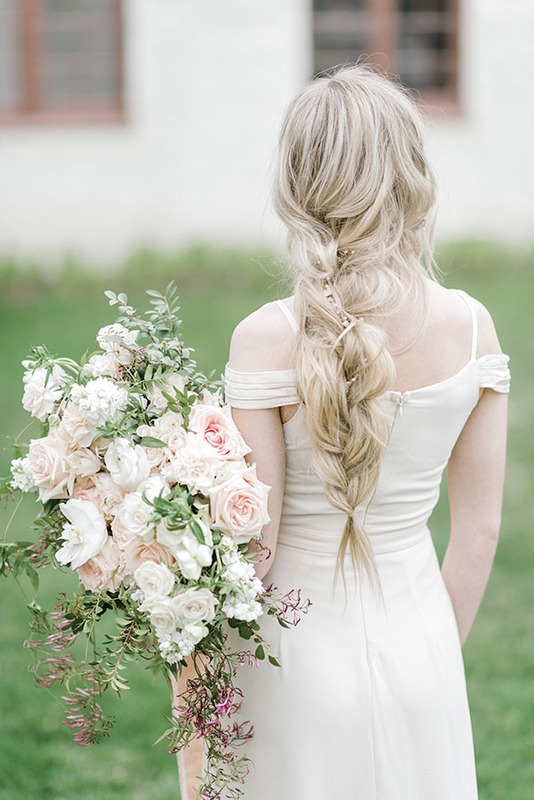 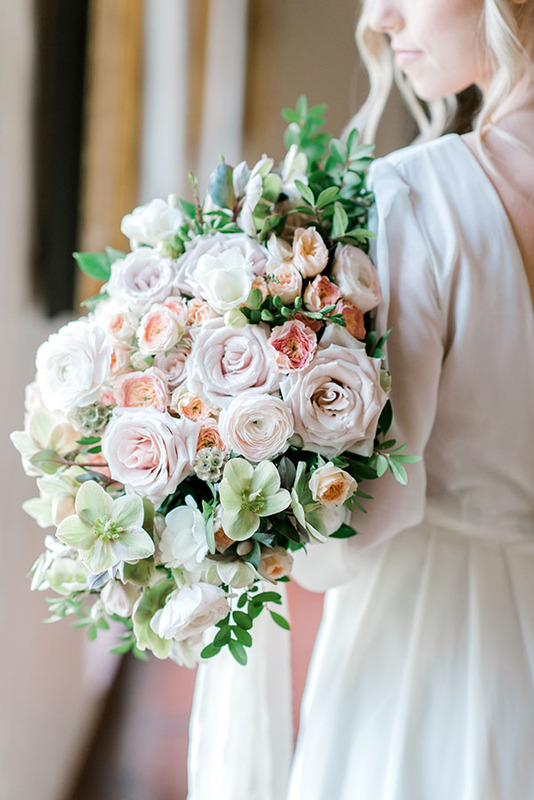 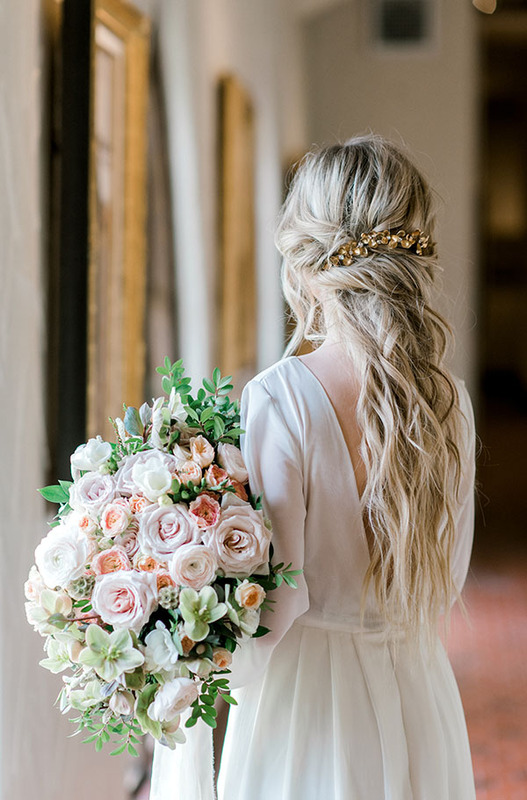 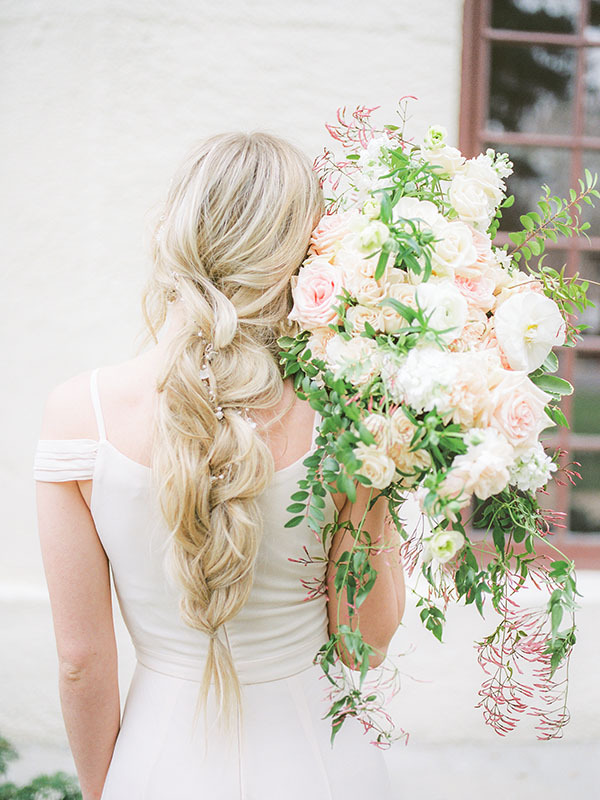 We are in heaven with this gorgeous inspiration shot at Utah Valley’s iconic Springville Museum of Art. 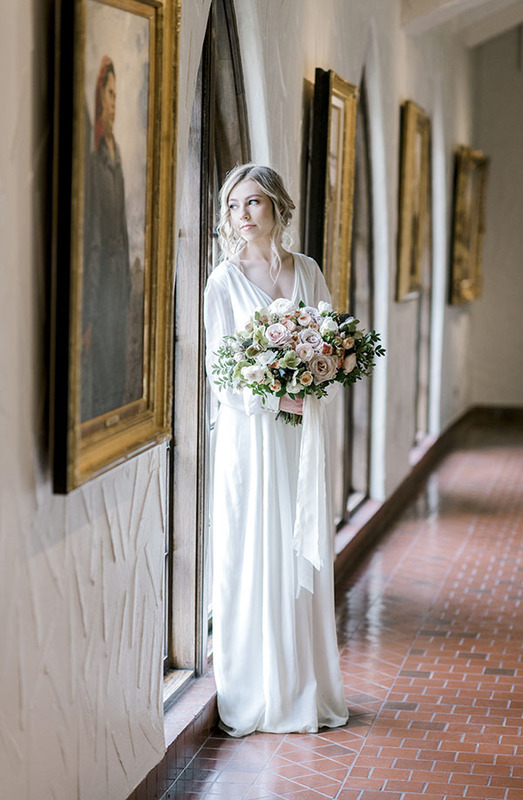 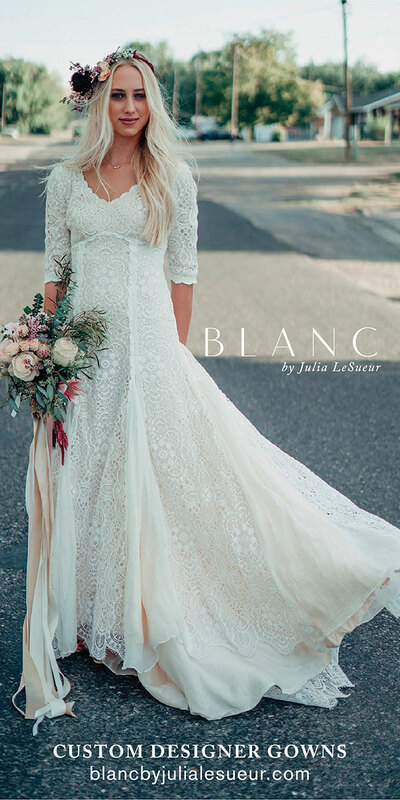 The gowns are unbelievably beautiful — soft, flowing, fabulous. 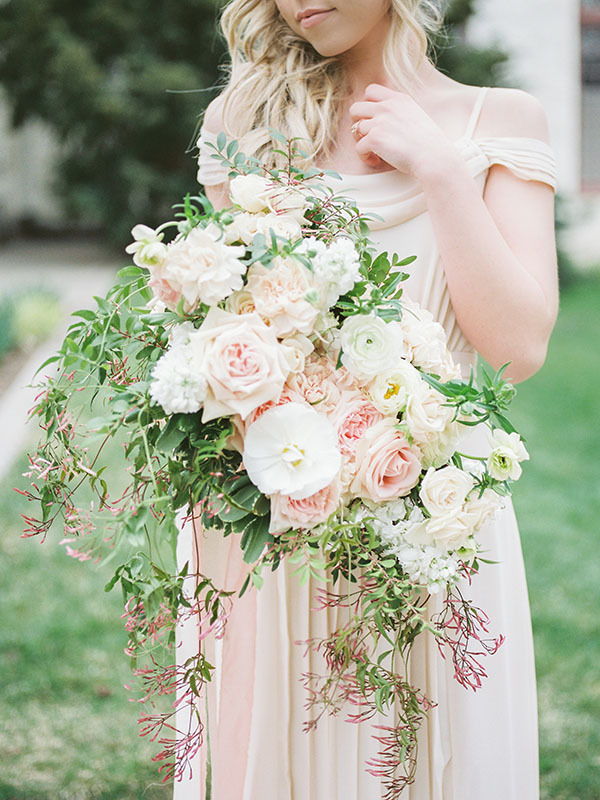 The florals are breathtaking. 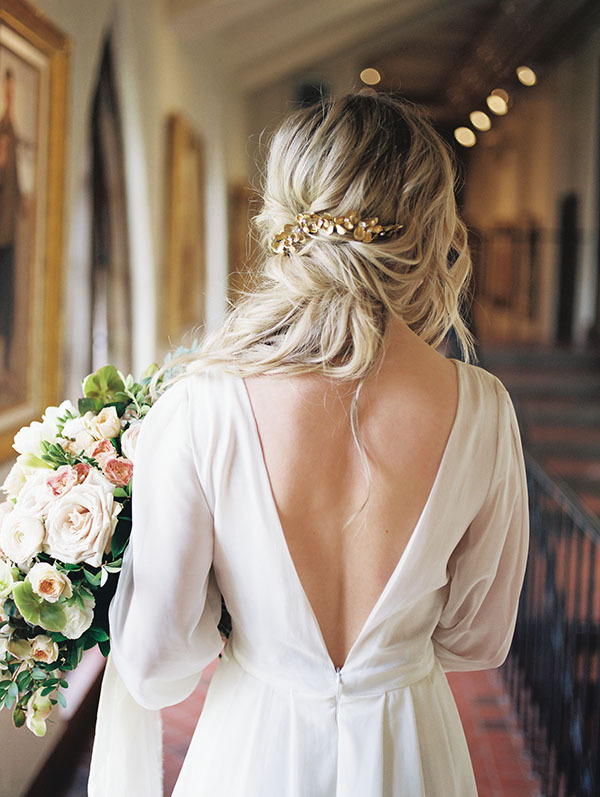 The styling is divine. 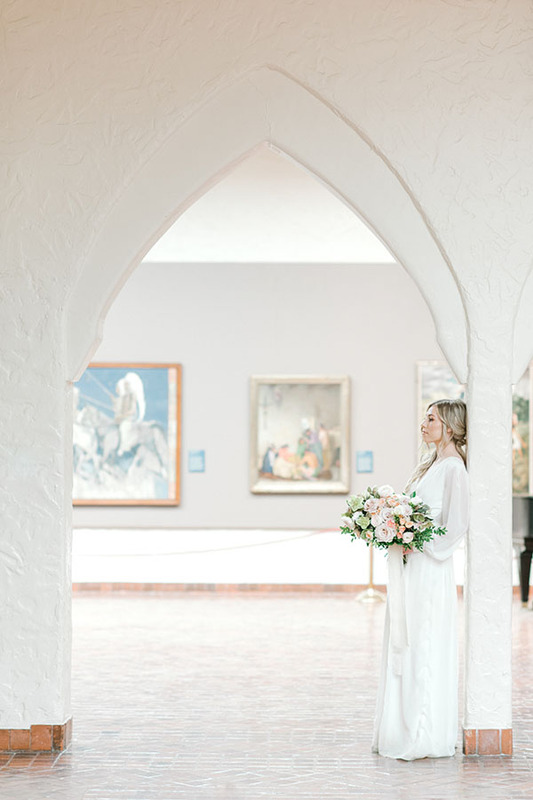 The art is moving. 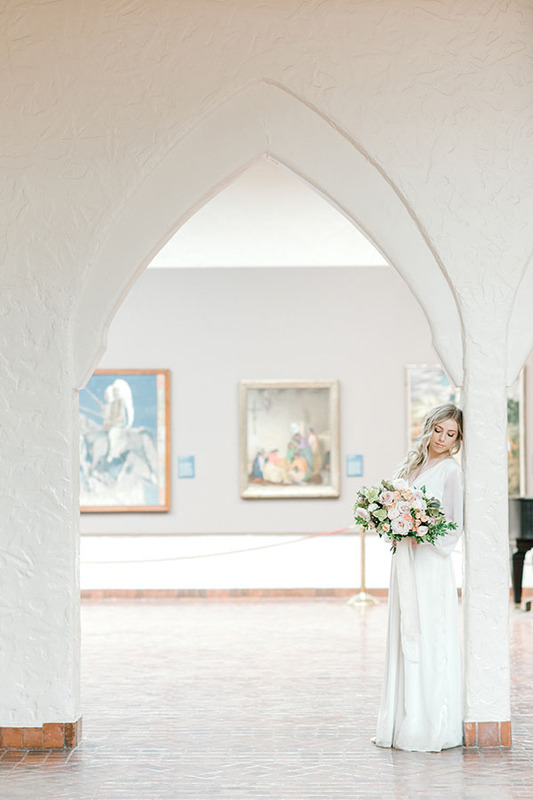 The architecture is stunning. 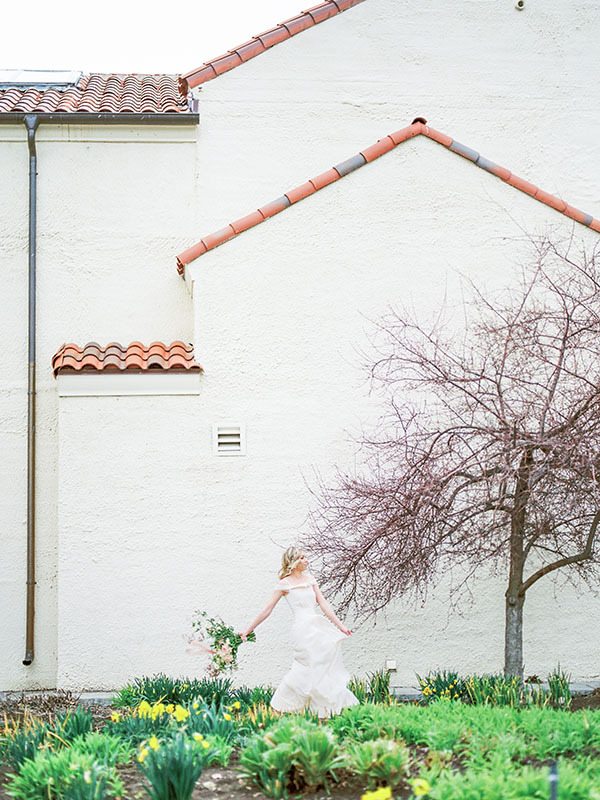 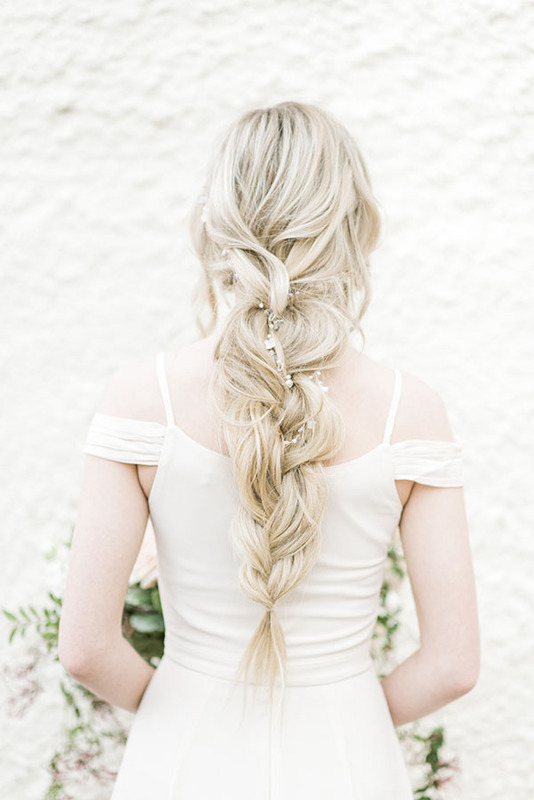 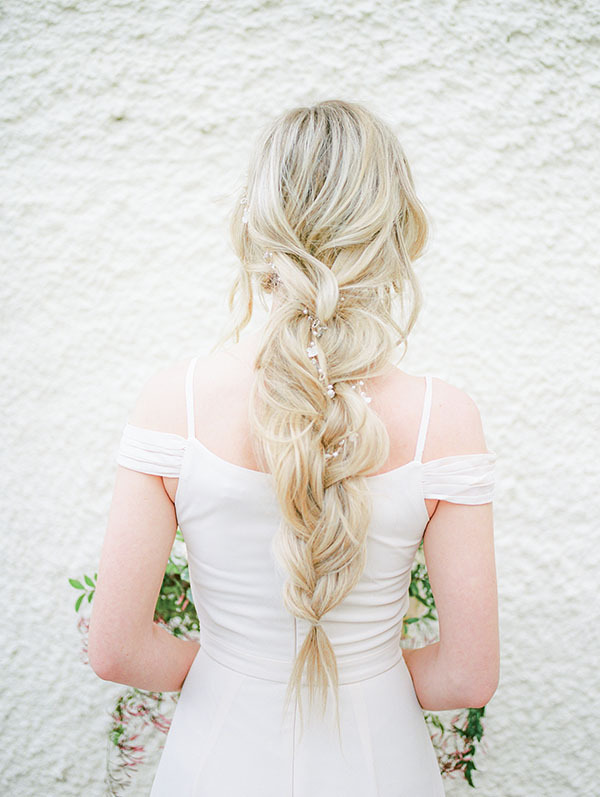 And the photography by Kristina Curtis is overflowing with both elegance and emotion.